Well, it just seems that Ninja Division is snatching up games to publish left and right. This time they're hitting the ring, picking up the rights to publish Luchador! 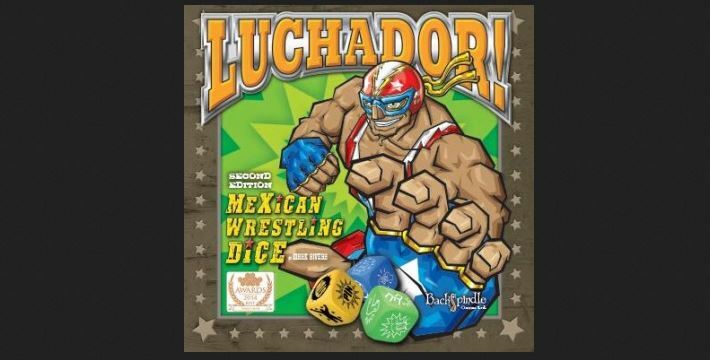 Mexican Wrestling Dice, made by Blackspindle Games. I have to say, this one I've played this one before. At the danger of editorializing, I loved this game. In the game, players are in control of their own luchador wrestler. Each one has special moves they can do, decided on by the roll of the dice in the ring. A fun thing is that any dice that fall out of the ring don't count, so you can try and knock enemy dice out as you roll. It's a good time had by all.